You have probably heard about Invisalign – the virtually invisible alternative to brackets and wires for straightening teeth. Maybe, though, you would like to know more about what treatment is really like. The best way to get the straight scoop on Invisalign is to schedule a consultation with Dr. Stanley Levenson in Worcester, MA. He will explain the treatment process and answer your questions. Meanwhile, here is some helpful information to consider before your visit the dentist. 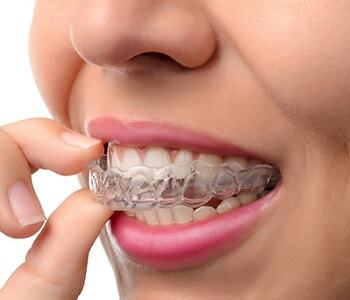 Invisalign straightens with an incremental series of transparent plastic trays that fit snugly over teeth. They nudge teeth into proper alignment with low force. The treatment plan is computer generated from digital impressions of your current oral condition, and precise input on what you want to change. Together, you and the dentist review a virtual simulation of your transformation, before treatment begins. When Invisalign initially became available in this country in 2000, it was viewed primarily as a cosmetic solution for mild to moderate misalignment. 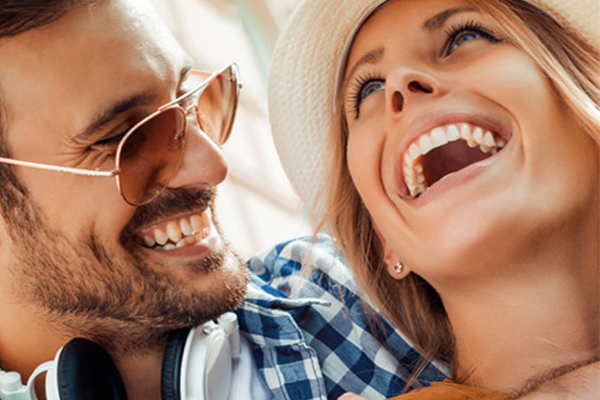 The technology behind Invisalign has continued to advance. Today, with version G3, G4, and G5, even complex cases of misalignment, malocclusion, and deep bites can be corrected with this method. Compliance – Although aligners are removable, you must wear them faithfully – 20 to 22 hours each day. That gives you two to four hours a day to eat the foods you enjoy without the restrictions that come with conventional orthodontics. Timely tip – Set timers on your phone for 30 minutes (breakfast), 35 minutes (lunch and dinner), and 10 minutes (two snacks), totaling 120 minutes. Start the appropriate timer as soon as you begin eating, and when the alarm sounds, brush and floss and pop your aligners back into place. No cheat eating – You may drink plain water with aligners inserted, but please do not “cheat” and nibble on treats or chew gum. It can damage aligners or stain them. Some patients report a happy side effect of this responsibility – they lose weight from reduced consumption of between-meal snacks and sweet beverages. Conscientious oral hygiene – Brushing and flossing after meals is important for everyone’s oral health, and it is imperative during Invisalign treatment. If you place aligners in a dirty mouth, you trap acids and food particles next to teeth, increasing risk of tooth decay and gum disease. Keep aligners clean – The technique is straight forward, and our hygiene team provides instructions. Aligners should be cleaned twice a day. Most patients soak them in a solution made with Invisalign sanitizing crystals, while brushing and flossing teeth in the morning and before bedtime. It keeps aligners clear and odor-free. Carry a hygiene kit – We end up eating in many places through a busy day. Be prepared with a small bag containing toothbrush, toothpaste, floss, and your Invisalign carrying case. It eliminates excuses. Maintain wearing schedule – You are responsible for advancing to the next set of aligners in your series as the dentist directs. Some patients feel a little discomfort or lisp a bit, for the first few hours. Helpful hint – switch out aligners at night. You will sleep through this brief adjustment period. Keep appointments – You will visit Dr. Levenson at about six-week intervals, so he can monitor your progress and adjust treatment if needed. Please do not skip these visits. They are brief and painless. Maintain results – At the conclusion of treatment, you must wear a retainer to keep your smile looking terrific for years to come. The doctor will talk with you about whether a removable or bonded retainer makes sense for your situation. Clear aligners can be a great option for teen and adult patients who want to straighten discreetly. Unless other people look very closely, they won’t even realize you are wearing orthodontic appliances. With the steps outlined above, an average treatment plan is completed in about a year. Call the Invisalign dentist in Worcester, MA trusted for beautiful results – Dr. Stanley Levenson at Levenson Smile, (855) 849-8255.